Srikanth Nammalwar Kidambi etched his name in badminton record books by becoming only the second Indian to become men’s world No.1, after the legendary Prakash Padukone achieved the distinction in 1980 with his historic All-England triumph. And in the women’s category, Saina Nehwal had become world No.1 in April 2015. 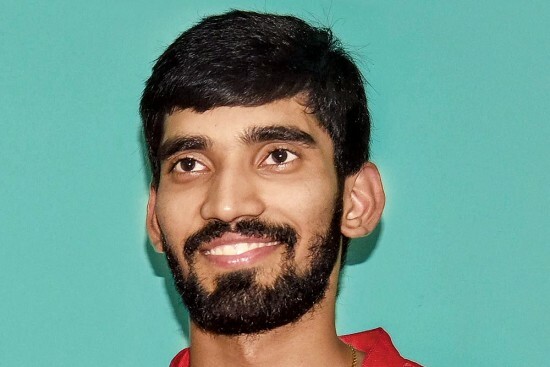 The Hyderabad-based Srikanth attained the peak after beating the then No.6, Lee Chong Wei of Malaysia, in a singles match of the mixed team event that helped India win gold medal at the just-concluded Commonwealth Games in Gold Coast, Australia. Srikanth, 25, again met Chong Wei, in the individual men’s singles final, but this time the Malaysian, 10 years older than him, exacted sweet revenge. The consolation for Srikanth was that the silver was his maiden CWG medal. Srikanth, who was No.2 going into the Commonwealth Games, says his aim is not to chase rankings and that putting up good performances has always been his priority. 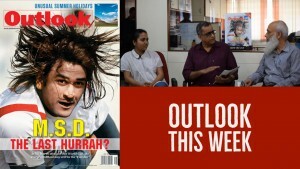 This year, Srikanth has some crucial back-to-back events are coming up. For example, the World Championships and the Asian Games will be played between July and September, in Wuhan and Jakarta-Palembang, respectively -- crucially, with only 12 days separating the two tournaments that he is yet to win. The tight schedule would be a big a challenge, admits Srikanth. Srikanth spoke to Qaiser Mohammad Ali on these and other issues on his return from a successful Commonwealth Games. Has the feeling of having become world No.1 sunk in? Have you finally realised that you are world No.1 now? Well, I am slowly getting used to it. I am definitely happy. But world No.1 is not a big deal. I am not really thinking too much about the ranking. For me, it is more about performance. What I am trying to say is that reaching the world No.1 rank is definitely a great feeling because there are many ‘firsts’ associated with it, like becoming the first Indian men’s singles player [after Prakash Padukone] to get there. What I mean to say is that I am not really focussed on the rankings; I am not running after the rankings. For me, it’s more important to perform well rather than running after the rankings. After beating the then world No.6 Lee Chong Wei in the mixed team final at the Commonwealth Games, you [then world No.2] were assured of the No.1 spot. Yes, I knew this beforehand. I had already read many articles about this. But you had to wait for it to become official to respond to it. What does the world No.1 ranking mean to you? I am very happy to become world No.1, but I want to be more consistent and perform well in every tournament I play. In what way do you want to be consistent? I really want to go deep into every tournament, reach semi-finals or finals, or maybe win them. 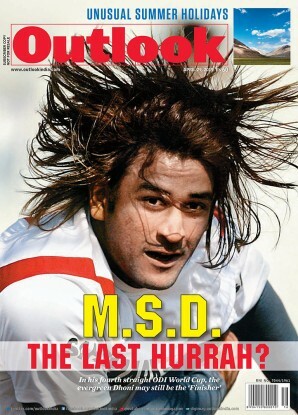 So, it’s like this – consistently play at my best and give my 100 per cent in every match. It seemed that you beat Chong Wei quite easily 21-17, 21-14 in a crucial singles match of the mixed team final. Was it really an easy match? It was not an easy match. But I played better than him that day. And in the individual singles final, he played better than me. One has to win and one has to lose. I think anyone who plays about five or ten per cent better than his opponent will end up winning. What happened in the individual singles final against Chong Wei? You won the first game 21-19, but from the second game the match completely changed and the Malaysian won 21-14, 21-14 to clinch the gold. I think I made a few simple mistakes and I gave a few easy points, something which I had actually avoided in my match against him in the mixed team event final. I should have avoided those things in the men’s singles final as well, so that way I would have had a chance [to win gold]. But Chong Wei played with a lot of maturity. Of course, he had the experience to pull things back and he showed it. But were you focussed in the second game? You looked different from the first game and in the second and third games. I don’t know. I did not feel the difference. For me, throughout the match I was focussed. Chong Wei, at 35, is 10 years older to you. But he surprised all by the aggressiveness that he showed from the second game onwards. Were you also surprised? He definitely started to play really well [from the second game]. But if you are playing against someone with that much experience you have to be ready for everything. And sometimes things change suddenly. There have been many times when things have happened this way. It is really important to learn from your mistakes and come back stronger. But were you ready for what Chong Wei presented in the second and the third games? Well, definitely, yes. You have to be ready, but things do change suddenly. You’ve got to be ready because that’s the only way to tackle it. Everyone will have his own strategies, and whoever plays better will win. That day, he played a little better than me and ended up winning. You beat Chong Wei in the CWG mixed team event, but in the World Badminton Federation ranking tournaments you have not beaten him in four meetings so far. Does the head-to-head history come into play when you face an opponent? It might be there but once you get on to the court it is a new day, a new match – and whoever play well will win. There might be things people talk about. But when you go out on to the court it is the 60 or 70 minutes of badminton that you play matters. How do you want to build on the positives and the pluses that you may have gained from the Commonwealth Games and also the No.1 rank, moving forward? Well, I think I have many positives to take from the Games. I played well and won my first medal at the Commonwealth Games. So, there are many things that I like and am happy to achieve. And, at the same time, I want to continue with the same winning momentum, and also learn from my mistakes, get ready and do well in the next tournament. So, what is your plan for the next few days? Surely, you would like to rest. I don’t really have too much time to rest. I am leaving this Saturday [April 21] for the Asia Championships [April 24-29, in Wuhan, China]. What is your next big target? Two of the big tournaments this year are the World Championships and the Asian Games, both of which you haven’t won. Has the planning started for those? There is a lot of time left for the World Championships [July 30-August 5] and the Asian Games [August 18-September 2]. I am actually playing many tournaments before those two competitions. I am really focussed on doing well in the next few tournaments I play. I definitely want to do well in those two big tournaments [as well], but I am not directly thinking about them. I am now thinking about the next two tournaments I am playing and after I come back from there I would think about the next couple of tournaments. It’s not that I am keeping the next five-six tournaments and thinking now about the ninth and the tenth tournament that I will play. I want to first do well in these five tournaments and then think about the next. Professional badminton players travel constantly around the world for tournaments. Are you comfortable with your schedule that you may have chalked for this year? This year has become tougher; the schedule has become tighter. There is not much time to really sit back and relax. You get a week off and then you are headed for the next tournament. I really want to focus on each event and don’t want to play too many Grand Prix Gold events. I want to do well in the SuperSeries events, and then tournaments like the World Championships, the Commonwealth Games and the Asian Games. I want to pick and choose to keep my body fit for the big events. I really don’t want to play too many big tournaments before a big event end up with an injury or something. Every player wants to win an Olympic Games medal, preferably the gold. When would you start preparations for the 2020 Tokyo Games as that is another event that you haven’t won? I want to think about it after I qualify for that tournament. There will be a qualification time and everyone has to qualify before he gets into the Olympics. It is about two years from now, so it is a long time away.